Often compared to Taylor Swift (think younger, less angsty Tay Tay) in terms of her musical style, singer-songwriter Amrita Soon is set to become an even more familiar name in the music industry. The event is open to all who’s looking for good music and good company to spend their Saturday evening. Songstress Beverly Matujal and singer-songwriter Darien Foo will also be performing at the launch party. “Familiar Strangers”, Amrita says, is inspired by the month of December. “It’s nostalgic to be living in December. Looking back on the year, holding on to the moments that are like fading photographs. “Sometimes people change and it’s like you don’t know them anymore. Sometimes you’re the one who has changed, not them; and it’s the face in the mirror you no longer recognise. We’ve become strangers now, catching glances into each other’s eyes and bringing back glimpses into what was, but isn’t anymore,” says the singer. 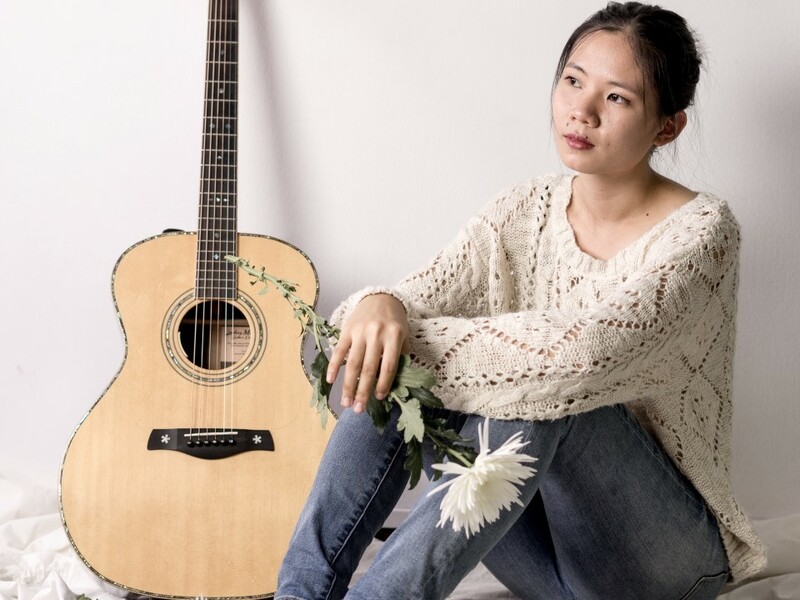 The album includes seven tracks in total, including “Untitled”, which features Malaysian Idol winner Daniel Lee, and “24 Years”, one of her favourite songs – inspired by her grandparents’ love story. Amrita released her debut EP in 2014. The singer worked with the likes of Ella Mae Bowen and Lance Carpenter on “Clues”, which contained five tracks and was recorded in Nashville, Tennessee, USA. It also caught the attention of China-based Malaysian production, pHMusic, who then worked together with the singer on her second album.